I’m writing this quick update simply to share my recent movements and my goings-on in the coming months. One success story of last year was finishing the final version of my major report for the Medical Council of NSW, titled “Regulating Medical Practitioners in the Public Interest: A Qualitative Review of Public Interest-based Decisions of the Medical Council of NSW under s 150 of the National Law.” It was about 8 months in the making. I have uploaded a copy of the contents to academia.edu.au here — and I’ve appended a precis of my findings. It’s not possible for me to publish the report to the public, however, as it deals with confidential information, and information protected by statute. The plan is now to publish a range of articles that communicate these findings to the broader health law community. I have almost finished an article on the implementation of the National Registration and Accreditation Scheme (NRAS) as an example co-operative federalism in action. These therapies are increasingly being offered to patients for diseases and conditions that lack scientific evidence of safety and efficacy. This study aims to address this problem using a mixed methods approach to generate empirical data and theoretical, ethical and legal insights that will guide the responsible development, translation and regulation of innovative stem cell therapies in Australia and internationally. Anticipated outcomes will improve patient advocacy and public knowledge about adult stem cell therapies, and facilitate better relationships between patients, researchers and clinicians. Something that I’ve already learnt about the regulation of autologous stem cell therapies in Australia is that the Commonwealth government, via the Therapeutic Goods Administration, overhauled its regulation of biologicals framework last year; and seemingly very little has been written in response to these new regulations, which incorporate a handy new risk-based classification system for biologicals. So I already have quite a clear research pathway into this area. Another subject related to the regulation of autologous stem cell therapies that I’m interested in writing about is the regulation and provision of platelet-rich plasma (PRP) injections/therapies in Australia. As an amateur athlete, I well know how many people use this form of therapy in Australia (it’s common) — and I have a rough sense, too, of how many Australian health practitioners provide it. It will be good to look at the therapy from a regulatory standpoint and to begin to understand where this form of therapy sits in the range of biological therapies — be they proven, partially proven, or unproven therapies — in the Australian health care context. I’m also teaching the Foundations of Law unit at Sydney Law School this semester 1 of 2019, which will be a nice re-entry into teaching (my last formal unit was the one I coordinated in the English department — a master’s unit, Approaches to Genre, in 2016); but I’ll be doing some one-to-one teaching, as I have been these last few years, at the University in various settings. Amid the academic work I’ve also been training quite hard for Canberra Marathon, which will happen on 14 April. That’s involved some 120–140 kilometres of running each week, and all of the research, recovery and preparation that goes into that. For someone who’s relatively new to distance running, having started in late 2016, there’s a lot of wisdom to imbibe. The goal is 2:50:00 or better. That’s all from me for now. I hope the next update includes news about a publication! 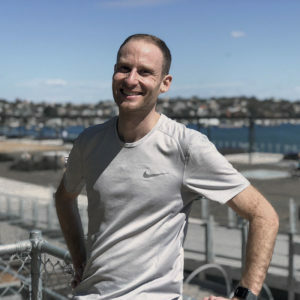 In November 2017, Wouter Hoogkamer, a research associate at the University of Colorado, published, with his colleagues, an online version of a study that forms the basis of Nike’s claim that one of its most innovative shoes, the Nike Zoom Vaporfly 4% (VF4%), reduces the energetic cost of running compared with other established marathon shoes by some 3.4–4%. [The] Zoom Vaporfly 4% pairs a Nike ZoomX midsole (for responsive cushioning) with a full-length carbon plate (intended to minimize energy loss during toe bend without increasing demand for the calf). Together, these features can make runners, on average, four percent more efficient than Nike’s previous fastest marathon shoe. The use of the word “can” and the description of the scientific finding—that it is the combination of the so-called ZoomX midsole with a full-length carbon plate that is determinative of the claimed efficiency improvement—was, in my view, a reasonable and fair description of the findings of the original paper. Even the insertion of the words “on average” is a reasonable qualifier, one that picks up on one aspect of the experiment, albeit without clarifying what that aspect is. To be precise, it refers to the fact that the experiment tested runners across three different speeds or velocities: namely, 14, 16, and 18 kilometres per hour. Notably, the paper defined running economy or efficiency in its own original way, and it openly stated as much. It reasoned that measuring energy cost via the rate of oxygen uptake (or consumption) in millilitres of oxygen per kilogram of body mass per minute—i.e., through a kind of VO2 test (but not necessarily a “VO2 max” test)—does not reflect metabolic substrate differences among runners. In making this claim, the paper cited a finding from another paper by Fletcher et al. which found, in 2009, that differences in oxygen cost were virtually non-existent when they were measured in different trained runners who ran at different submaximal speeds. Instead, the paper found that what did change dramatically in these runners who ran at various speeds was “caloric cost,” meaning that runners did not use more or less oxygen when running at different speeds but used more or less calories. Running economy has traditionally been defined as the rate of oxygen uptake in mL O2/kg/min required to run at a specified velocity. However, since oxygen uptake alone does not reflect metabolic substrate differences, we prefer to define running economy as the energetic cost of running at a specific velocity expressed in W/kg. How much of an improvement in running performance would be predicted from a 4% reduction in energetic cost? Hoogkamer et al. established that percent changes in the energetic cost of running due to altered shoe mass translate to similar percent changes in 3000-m running performance, when both are evaluated at the same running velocity. But, as recently summarized by Hoogkamer et al., the energetic cost of overground running increases curvilinearly with velocity, due in part to air resistance. Such curvilinearity implies that a 4% average energetic savings observed should translate to *3.4% improvement in running velocity at marathon world record pace (20.59 km/h). Consistent with that calculation, in the two years leading up to her amazing world record in the women’s marathon in 2003, directed training allowed Paula Radcliffe to reduce her energetic cost of running at 16 km/h by 2.8% and marathon performance by 2.4%. An acute 3.4% improvement in the marathon world record would be historic. For example, it took nearly 29 years for the men’s marathon record to be reduced by 3.4% to the current 2:02:57, and not since 1952 has the men’s marathon record been broken by more than 3.4% in one race. Now, in the wake of Eliud Kipchoge’s recent world record of 2:01:39 in September 2018, it is worth having a quick look at what this record represents statistically. Specifically, I want to know how the statistical figures that Hoogkamer throws out, above, relate to the statistical improvement in marathon time represented by the Kipchoge world record time. Before Kipchoge’s Berlin Marathon race, the world record for the marathon was held by Dennis Kimetto with a time of 2:02:57 (2014). 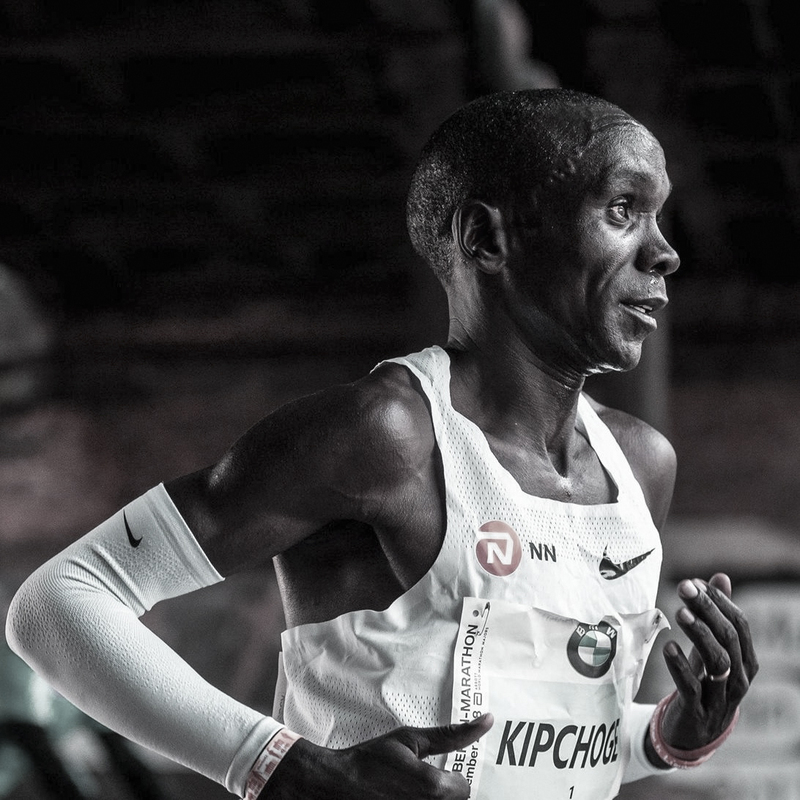 Although as of today’s date (4 October 2018) Kipchoge’s time is yet to be ratified by the IAAF, Kipchoge’s winning Berlin marathon time of 2:01:39 represents a 1.07% improvement on Kimetto’s 2014 time. Interestingly, Kipchoge’s unofficial time of 2:00:25 from his Nike Breaking 2 project run in Monza Italy of 2017 represents a 2.1% improvement on Kimetto’s 2014 time. And although Hoogkamer does not actually specify a time in his paper when predicting the world record potentially achievable via the use of the prototype shoes, the VF4% (indeed, one might conjecture that superstition proscribes it), the predicted improvement of 3.4%—which he and his colleagues predicts is the “real” improvement to be expected from a 4% energy cost decrease—translates, with respect to Kimetto’s world record, to a marathon time of 1:58:55. No wonder Hoogkamer and colleagues were so excited by the prospect of breaking the 2-hour marathon. On his figures, the predicted time would have been a sub 1:59:00. The former Chelmsford Private Hospital (this photograph from 1990). Source: The Daily Telegraph. I paste below an abstract, with the above title, that I’ve recently submitted to the organisers of a neuroscience and society conference in Sydney. It combines two projects that I’m currently working on: the first, a paper on “the public interest” under the Health Practitioner Regulation National Law (NSW); and the second, a paper on the Chelmsford scandal from the perspective of the legislative and regulatory history of psychiatry and medicine in NSW in the ’60s through to the ’90s. Barbiturate-induced deep sleep therapy (DST), electroconvulsive therapy, and cingulotractotomies to lesion the brain’s cingulate gyrus were among the many controversial brain interventions used, often in combination, by psychiatrist Harry Bailey and colleagues in Sydney’s Chelmsford Private Hospital from 1963 until the 1980s. 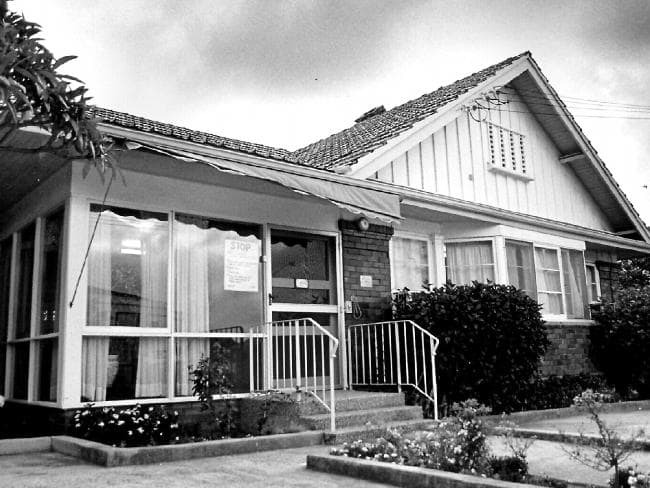 Prompted by the Church of Scientology’s Citizen Commission on Human Rights, and later the NSW-based Public Interest Advocacy Centre, a Royal Commission into Bailey’s use of DST was established in 1988. Although Bailey committed suicide before giving evidence at the Commission, the resultant report found that the psychiatrist had been responsible for the deaths of more than 24 patients at Chelmsford, together with the suicides of another 19 previously under his care. In this paper, I will briefly trace Bailey’s unethical misuse of various neuroscientific theories of the mind and brain he had learnt from, among others, Manfred Bleuler, the son of pioneering schizophrenia nosologist Eugen Bleuler, before detailing, in clear terms, the momentous regulatory changes that occurred in NSW after Chelmsford. When reports of Bailey’s conduct reached authorities in the 1970s, the NSW regulator took no disciplinary action against the psychiatrist, finding that while the Medical Act 1938 proscribed “infamous conduct,” it did not allow interim orders against doctors for poor performance. 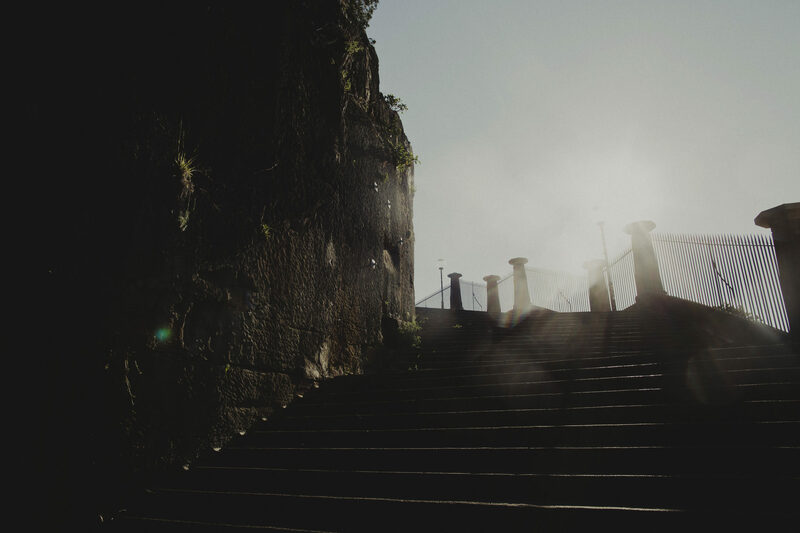 Subsequent regulatory changes would transform the state’s approach to regulating health practitioners, leading to a new Medical Practice Act in 1992. Drawing on research recently commissioned by the NSW Medical Council on the public interest, this paper will show how regulatory reform after Chelmsford continues to shape health regulation today, including through public interest-based amendments recently made to the 2009 Health Practitioner Regulation National Law across all Commonwealth jurisdictions. Citing hypothetical and real examples, I will also explain what these important reforms mean for practising brain specialists who use or abuse novel experimental brain interventions, such as deep brain stimulation. Please direct inquiries to chris [at] rudge.tv. Please see the Colophon page for more information about fair use and copyright.